TourneyCentral, the only soccer tournament management software providing end-to-end management, is looking for an Instagram Story Host to livecast during soccer tournaments on our event calendar located here. Must be outgoing and eager to engage with participants to create short stories for a soccer tournament’s Instagram account. Must be self-directed and able to work independently. 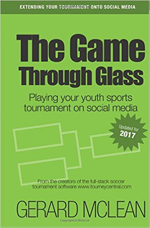 Must understand the game of soccer but also the inner-workings of putting on an event. Hours are typically Friday evening registration, pre-dawn Saturday and Sunday through the last game on each day. This position is a contract, but will consider employment for the right person who is willing and able to expand skills to more general marketing and social media. No cover letter, please. Your Instagram story and account will be used instead. Complete the short form to apply. Be sure to include your Instagram account.